Over the last few years, the volume of malware has exponentially grown on the Web that even the latest suites of anti-virus software have been oftentimes rendered ineffective in detecting and combating these threats. Luckily, there are other methods to counter malware as security consultants suggest that a conventional anti-virus product is no longer enough in this cyber warfare, which has escalated on a global scale. One type of malware that persistently victimizes online users comes in the form of phishing. And we reportedly just recently that Google Chrome has busted a new phishing site that purports to be an Apple Store login page when in fact it lures users into entering their email address and credit card number into a fake data field to cash in on their credentials. And there is also a fresh survey from Visa that reveals 92 percent of adult online users have fallen prey to this kind of cyber crime. Google Chrome in particular has a kind of anti-malware system that works to display a popup warning for users when a site being visited is potentially compromised. The system identifies a malicious site based on a database containing blacklisted websites. But it appears this method is no longer the best way to minimize the risks. The NSS Labs said whitelisting offers a better alternative to warning users not to visit a particular site. The idea is that since compromised sites now compose a great portion of the more or less 700 million websites worldwide, it is better to prompt users on a whitelisted site that has not been penetrated by hackers. In this respect, the Internet Explorer emerged to be the most secure browser. Microsoft developed the browser with a mix of application reputation system and URL filtering technology to block malware. Google Chrome, Firefox and Safari are trailing IE based on NSS Labs’ ranking. 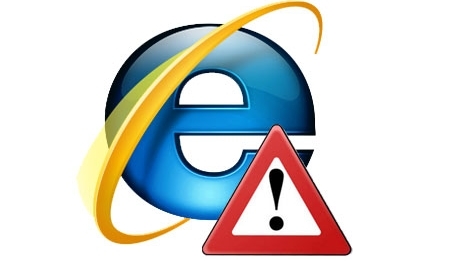 Test result shows that IE has intercepted 99.9 percent of socially engineered malware, which includes malicious links contained in an email, infected instant message and downloads. Chrome, on the other hand, came with 70.7 percent of block rate while Safari and Firefox barred only 4 percent of the malware. Both the IE and Chrome employ the application reputation technology and URL filtering to spot malware, except that Microsoft gives more weight on the URL filtering than Google does. A URL filtering works to scan all downloads for potential risks. Surprisingly, Firefox and Safari do not have this kind of scanning system.